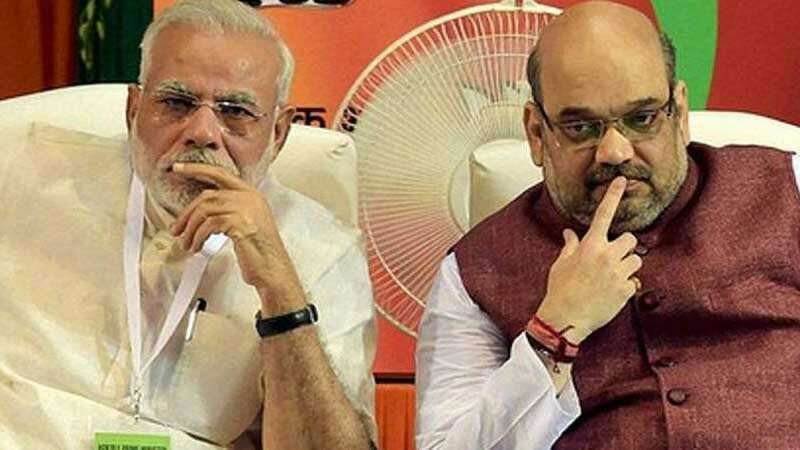 New Delhi : In a major setback for Bharatiya Janata Party, at least 25 BJP leaders have submitted resignations in last couple of days. Today, at least 18 BJP leaders in Arunachal Pradesh, including party general secretary Jarpum Gambin, Home Minister Kumar Waii and Tourism Minister Jarkar Gamlin, and six legislators resigned after being denied tickets for the assembly polls which are scheduled for April. They have joined Conrad Sangma's National Peoples Party (NPP), a key BJP ally which has decided to go solo across northeast. Other than this Sikkim's SKM has also duped BJP ahead of the polls. Besides Mr Waii, Mr Jarkar and Mr Jarpum, BJP legislators Thangwang Wangham, Tapuk Taku, Pani Taram, Pangka Bage, Wangling Lowandong and Kardo Nyigyor and ex-minister Tsering Jurmey have also resigned.